Verde green chocolate pot manufactured by Hall. 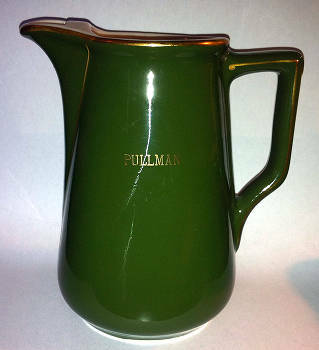 The piece has decorative lines and the name "Pullman" in gold luster on the front. Description Verde green chocolate pot manufactured by Hall. The piece has decorative lines and the name "Pullman" in gold luster on the front.